Busy days and lots of news since my last post – finished 3 consultancy projects and completed opening the door to IBM. It’s been a great few months testing the waters as a consultant in the UK, and the projects were very interesting and promising (Hope to be writing about how great they’re doing in a few months), but it’s time to move on. What better place to do so, then at IBM Interactive Experience. I’ve been following IBM’s initiatives (probably like many of you working in the digital/data spaces) for quite some time, and a few announcements pop out of the crowd: the Innovation Labs investment, and the Apple enterprise agreement. These are clear signs of the intentions of the Big Blue, and where they see the future is – and we agree on the direction! The Interactive Experience team is trying to turn the consultancy market around by providing user centric solutions, using the best of Cloud, Analytics, Mobile and Social technologies, underpinned by security, to provide creative and innovative solutions. The talent they are gathering is fantastics, so not only a chance to build new and shinny things, but a lot to learn in the way! 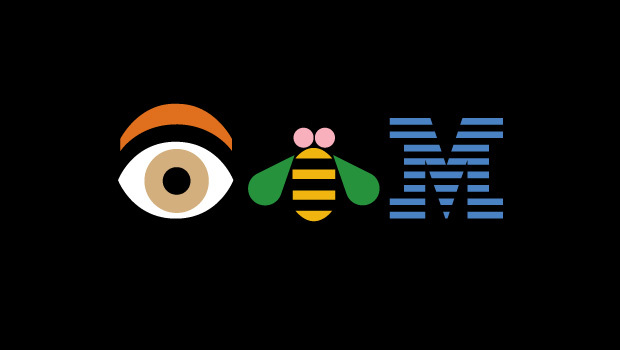 The projects are the ones that will help define the new opportunities, and hopefully help shape IBM’s business in the beginning of its coming 100 years of history. Working in developing Innovation as a Service solutions and Digital experiences for key industries like TELCO and Media & Entertainment is not only an expertise, it’s a passion – and a sea of opportunities. Helping discover and set up scalable and disruptive solutions that consumers love is the goal, and with some luck even help make the digital world a bit more user friendly! Doing so in the recently appointed top Digital agency of the world sounded like the perfect opportunity – and I’m both happy and proud! I’ll be looking forward to discussing ideas and opportunities with a lot of new people, so if you think you’re one of them, do get in touch!